There are few things less agonizing to mentally prepare for than a job interview. What will they ask? What will they think? Will I give the right answers? Will I get the job? These questions and more will likely plague you as you prepare for your upcoming job interview. This is completely normal and common amongst individuals of all ages and skill levels. Indeed, a certain degree of anxiety can even improve your senses and help you focus. But too much stress and anxiety will only work to distract you. Therefore, avoiding as much stress as possible is the best option for achieving the best results. 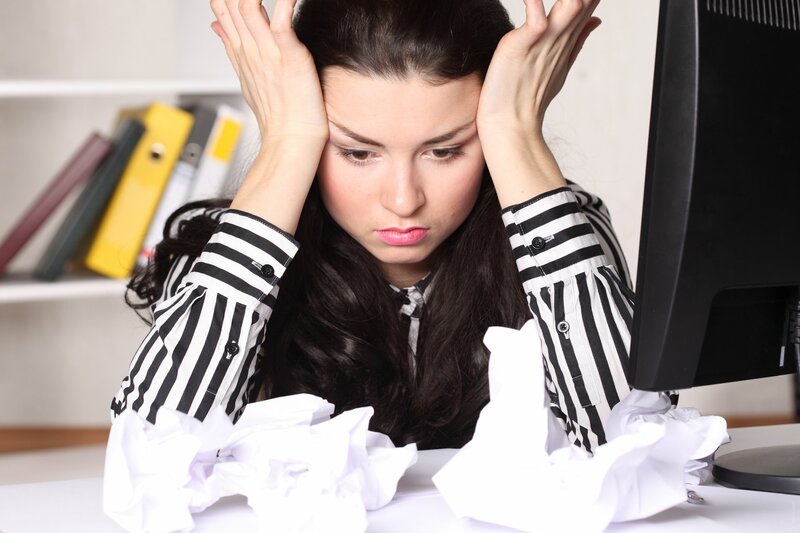 Keeping your stress and anxiety under wraps is critical to success, and the following article will offer you a few tips and different ideas on how you can achieve a level of control over your worries. Once you are in control, you are in a better position to knock this interview out with flying colors. It is always a good idea to practice for an interview before you go in, but really, preparation for an interview goes far beyond the morning pep-talk in the bathroom mirror. Pull out a piece of paper (or a word processing document) and start jotting down what you know to be your most developed and relevant skills. Right next to that list, write out a few of your professional weaknesses, as well. Most interviews will ask for both strengths and weaknesses, and the best way to prepare for that is to start planning how you will tackle discussing each aspect of your professional self. Now that you have a list of your skills or strengths and your weaknesses, start brainstorming different anecdotes or examples of how you have displayed these skills in the past, or how you have overcome your weaknesses. It is likely that your interviewer will ask for specific examples, so having some ready to go beforehand will help you avoid awkward pauses. Most businesses and interviewers want to see that you have shown an interest in their practices and/or products. You do not need to be an expert on the business before you go in, but it would behoove you to do some thorough research so that you can prove you have a good understanding of what you are interviewing for. This type of research is particularly important both to you and to your interviewer to show that their business is in alignment with your own goals and interests. It is likely this will not be wholly true, but by preparing you can make a solid show of proving your attentiveness. Now that you have laid out your strengths and weaknesses and researched where you will be interviewing, it is time to get practicing. Whether you choose to try a self pep-talk in front of a mirror or to enlist friends, advisers, or former supervisors (who are amenable) to help you practice, just make sure that you get to a point where you are comfortable enough with what interview questions might possibly be thrown at you. Truly, you have no way of knowing what exact questions you will be asked, but you can still benefit greatly from practicing what you can assume they will most likely ask. If you know anyone within the business, try reaching out to see if he or she would be willing to help you out with your practice as he or she will have a more direct knowledge of what you should expect. When you are conducting your initial and ongoing job search, aim to schedule as many job interviews as you can handle. Oftentimes, knowing that a single job interview is not your only option will help you cut down on your overall anxiety. Remember: just because you interview does not mean you have to accept the job. It is easy to fall into an endless cycle of negative thinking that will severely limit your confidence and ability to cope under pressure. When you find your thoughts turning toward pessimistic outcomes, do your best to overcome them. This is easier said than done, but actively working to avoid negative thinking can help you seriously decrease your anxiety. When you are in an interview and you feel as if you have answered a question poorly or otherwise “messed up,” try not to focus on this thought. The more you dwell on possible mistakes, the more likely you are to make actual mistakes. If you have gone through a long period of unemployment or are knew to the professional work field, you might find yourself worrying that not getting this job is indicative of your overall employment search. Stop this type of thought in its tracks and remind yourself that no one interview can determine what you will do with your future. This interview is simply one rung in the long ladder that is your life, and if you do not get the job, you must simply keep trying. So long as you are prepared, you can help yourself build up the confidence you will need (not to mention appreciate) when you walk into your interview. Plan for success, and you will succeed one way or another. On the opposite end of avoiding negative thinking, it is also to your benefit to embrace positive thinking. Visualize your success to help yourself feel confident and chase away your worries. You can also try different relaxation techniques that will help alleviate your stress and give you a better sense of control over your overall anxiety. If you find that your anxiety is near insurmountable when it comes to interviews, then you might want to consider seeking out some psychological help to determine if there are any underlying problems in your psyche that are preventing you from achieving interview success. No matter what you choose to do, just remember that there will always be another job, another interview, and another day. This interview is not the be all, end all by any stretch of the imagination. Surmounting this obstacle, even if it ends in rejection, will only make you stronger in the future.